Dux is a Service Today’s favourite in water heaters. This company is trusted and reliable as well as environmentally friendly. Just like Service Today, Dux are actively making every effort to minimise theirs and their customer’s carbon footprint, which we love! These environmentally friendly ideals trickle through their company resulting in the continual design of innovative and sustainable products which incorporate the latest technology. Some of our favourites in Dux gas hot water systems are below, if you would like to discuss your Dux options with one of our professionals, give us a call on 1300 725 760 today! Dux Prodigy 4 Star Gas Storage hot water system is a market leader in recovery rates; fast recovery rates mean more hot water. They are designed to be the perfect upgrade from existing or older gas units meaning that installation and connection is simple and effective. Service Today can quickly and efficiently install this Dux gas water heater system, and they come with a 7 year tank and flue warranty as well as two capacity options depending on the needs of your household. The prodigy 5 star gas heater is Dux’s newest gas system. It incorporates the most up to date burner technology giving you even faster recovery rates and even more hot water than older models. It is designed to reduce heat loss and has a 5.3 star energy efficiency rating as well as a 10 year tank and flue warranty on both the 135L or 170L capacities. This is one of our most popular Dux models and Service Today can help you upgrade your system as quickly as you need, 24/7. 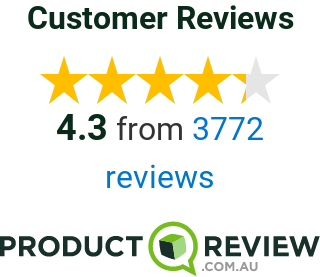 Call us now for more information on any Dux gas hot water system installations or replacement in Sydney, Adelaide and Melbourne; we answer your calls 24/7!